Well, dang it. Why is that? managing rav TF bard while trying to HoD a boss doesn't work well with how quickly bosses die. 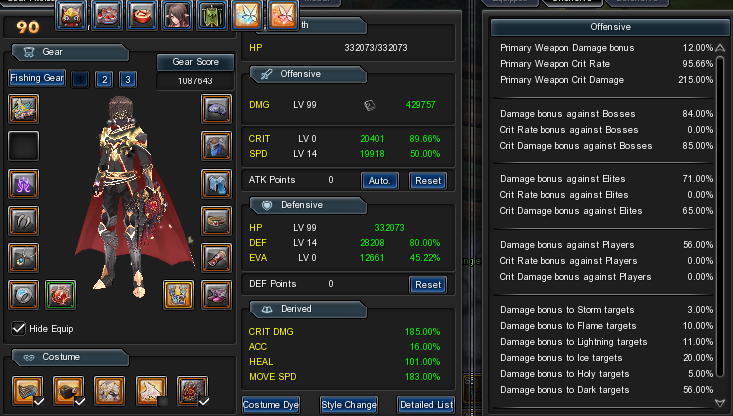 Rav also doesn't need the crit dmg or anything that lance sub offers. Hi, guys! Question: how advisable is to have a Ravager sub Lancer? what do u mean by ''The Video should not go longer as 10 seconds''? So, I had this idea in my mind for so long and I got to create one (currently lvl 60... a bit low). The players I know playing Sorcerer or Wizard never use their heals unless they are in danger, they keep focusing damage (Which yes, is what they do so its normal) I couldnt find anyone who tried a Healer Wiz/Sorc on the net either, so i wanted to share this. This is basically a Wiz/Sorc combo that focuses on healing instead of damage dealing. I focus on SPD, DEF primarily and CRIT, HP secondary. Depending on my experience, having the main class as Wizard is the best choice even if Sorcerer has one more +%3 healing Envoy's Path buff. This is because Cooldowns of Wizard's healing is already high, and it being a secondary class makes it too much to be a viable healing skill(around 1 minute which is so high for a main healer). Having Wizard as a main helps a lot. With %50 SPD you have your R.Prayer on 15 second cooldown, which means you can cast it every 3 seconds it worns off (it has 12 second duration). R.Mantra doesnt need to get cooldown since it has already low cooldown and can be casted to have a infinite healing buff. Also it doesnt stack so, its pointless to have it on 3 second cooldown where you can do much more healing when your main is Wizard. They both get a healing skill combo, which is Healing Mantra and it has 1 min cooldown so it doesnt really cover up the loss of R.Prayer when your main is Sorcerer. So, Wizard as the main is the best choice. I compared it to Bard (ofc bard can heal much more and maybe is better, by comparing I dont mean to 'Wiz/Sorc is better healer', I mean to 'Oh, Wiz/Sorc can be an alternative to bard!') So yeah. 1. No one plays healer wizard because wizard isn't a healing class. Wizard and sorc both have incredibly low healing numbers and the cool downs just make it infinitely more inferior to just playing even bard sub. 2. AK doesn't need supports in general, sure play bard or w/e but don't turn a perfectly good DPS class into a really, really, really bad support that will accomplish close to nothing. 3. Sorc sub is god awful, it literally provides nothing, and it's by far the worst S1 weapon. Sorc without envoy literally does nothing, it can't debuff properly, it can't actually spam mantra, so it's losing everything that makes main sorc good. I'd recommend not ever making a guide on this build because the replies will be exactly like the ones to this thread. anyone know here if whats better for pvp? lancer or gunslinger need help here thanks. Gunslinger is absolute trash in pvp, it's incredibly squishy, doesn't have much reliable CC, and dies super easily to HS due to tornadoes. Lancer is way better because it just has infinitely more damage and more use. HS > All tho. 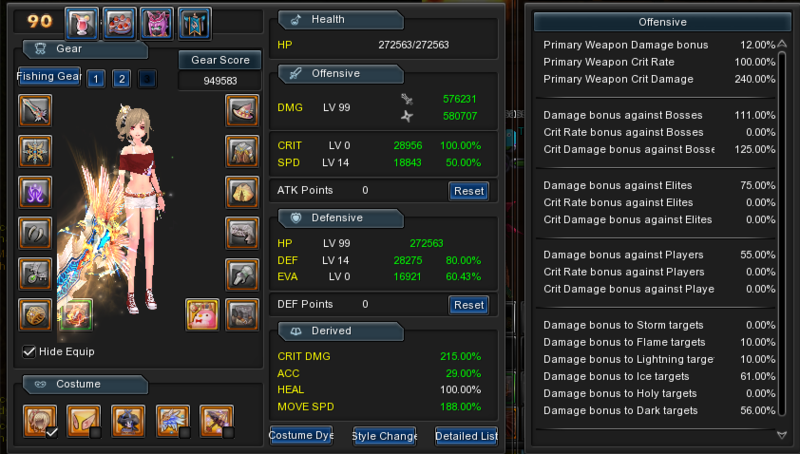 someone has an updated guide to Lancer dark/shuriken pve thank you !!! use Morrigan's if you need a lance guide since it's the only decent one and it's updated for awakening. How about them duelists guys? 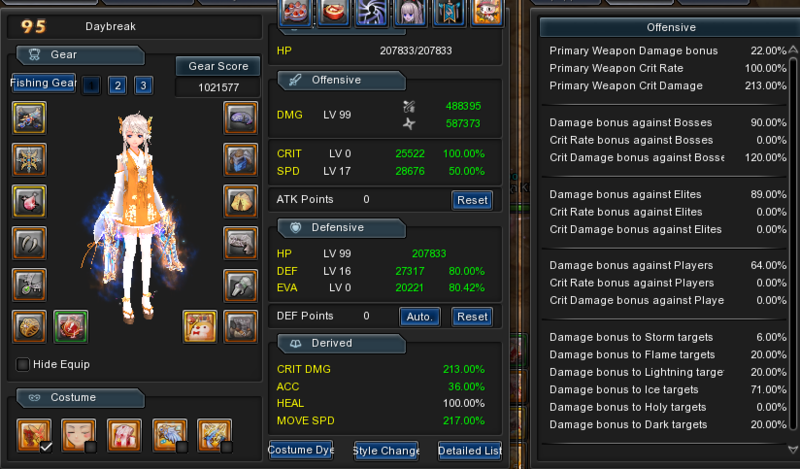 I think at this point you just need a crit dmg eido for post awakening, s1 staff also gives cdmg, but you also need the extra for over cap crit and the 95 set. Why do you guys even bother with pvp? Like we get all you care about is money, that's obvious with the transfer scrolls, and pvp is the biggest source of +30s ... but it's a pointless thing to focus on. So many other aspects of the game suffer while all you talk about it how great pvp is gonna be in the future! You know what would be a great aspect of the game? Making it so people don't have to drop gold caps and thousands of dollars just to stay relevant. Hopefully the file should be fixed now, I took the opportunity to make a few changes since the .csv broke yesterday. Yellow weapons aren't very effective in this dungeon. Ive tested the 90 destr-orange and 95 yellow at same fort level and have found that the orange hits about 10-15% harder than yellow. Vault is basically the only dungeon that orange > gold if you have a destroyer core. The def shred actually makes a huge difference, I've noticed between a lot of tests in the dungeon that destroyer clears always clears faster. The point of pvp modes like 5v5 tanuki and other modes like that isn't to be balanced, it's to be in favor of people who took the time to make a pvp build. Basically what you're saying is: "Hey, give everyone the stats of a person in full +30 pvp gear to make it fair!". They already have game modes where they take away all stats and transform you for people to join, pvp doesn't need any sort of buffs. You're probably the millionth person to suggest this and every time it gets this exact same response, they'd never add something like this and if they did it's completely pointless. I'll just say that the best way to balance pvp is to make +30 more reasonably priced for people. Lightning is better for short burst fights, holy is good for longer bosses (none rn) because dmg taken from smiting edge needs to stack. Up to personal preference, they're both just holy sword at the end of the day. Exactly this, I expect nothing less.